Do you like animals and enjoy solving puzzles? Then you’ll love putting together the stickers in this kit to make a fish, a koala, a bunny, and more! 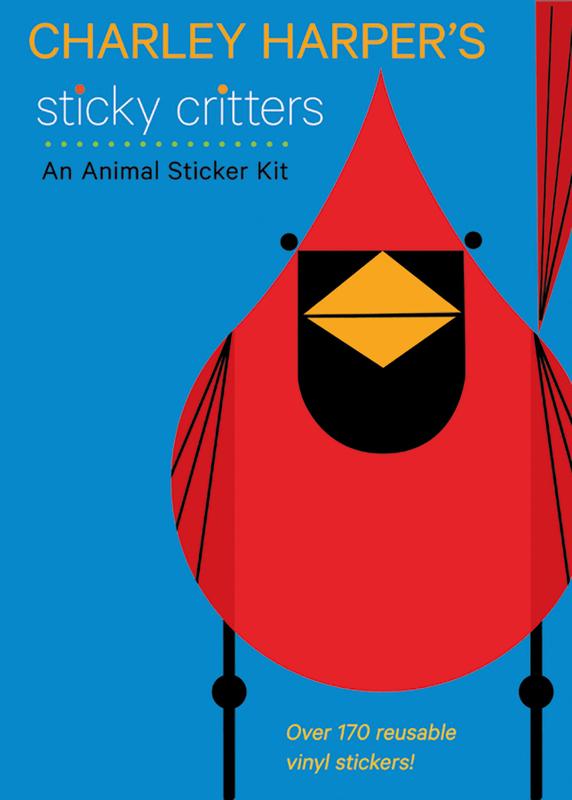 WithCharley Harper’s Sticky Critters: An Animal Sticker Kit, you’ll learn how to make 12 bright, funny creatures. Once you get the hang of it, you can create your own colorful sticker critters! 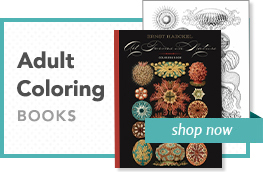 Based on the art of Charley Harper (American, 1922–2007), this sticker kit will provide hours of creative fun, whether you play alone or with friends. For example: Try making the 12 animals straight from the sticker sheets, without looking at them in the booklet. 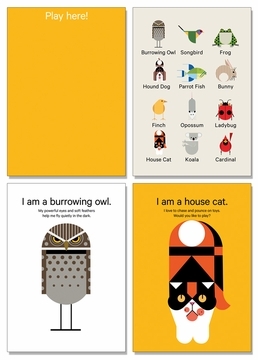 See who can put together an animal the fastest. 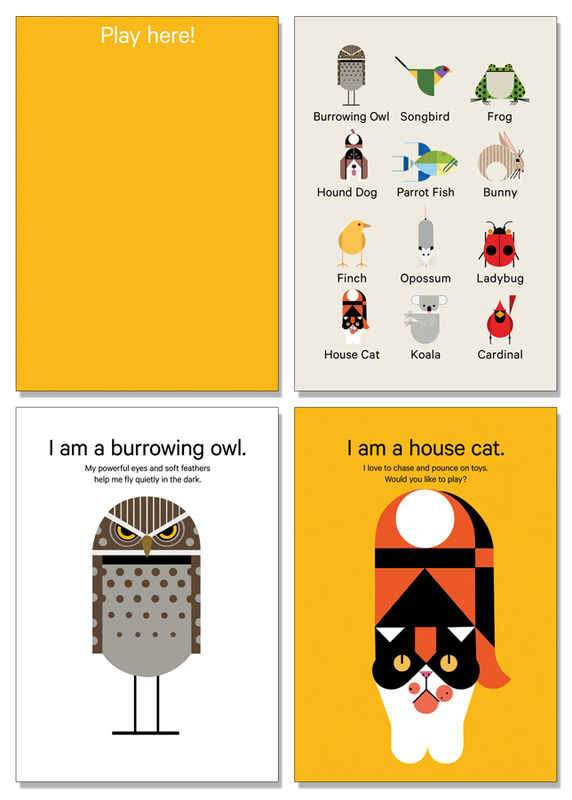 Use the stickers to make up your own animals, and ask your friends to guess what they are. Happy stickering! Sticky Critters has received the Oppenheim Toy Portfolio’s 2012 Gold Seal Award, given to outstanding new products that enhance the lives of children.